The area bounded in blue on the map shows the area covered by flood alerts and warnings for River Irwell at Summerseat. Areas at risk include land and properties alongside the river at Summerseat, including some properties on Waterside Road, Riverside Drive and The Island. 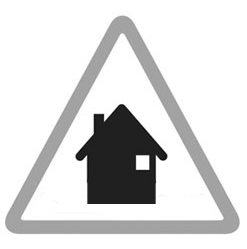 Properties at risk are in the vicinity of Bury Ground. This includes Lower Woodhill Rd, Webb St, The Bridge Trading Estate and Wellington St.
River bank overtopping is expected. Areas at risk include Irwell Vale, Aitken Street, Bowker Street, Chapel Terrace, Hardsough Fold, Milne Street and Parkinson Fold.